What does a very high PSA at diagnosis tell us? Probably because of high level of research funding as a consequence of the Movember Foundation‘s initiatives, Australia is increasingly providing us with interesting data on the diagnosis, management, and outcomes of men with prostate cancer. In another recent paper in BJU International, Ang et al. have reported on research into the outcomes of patients initially diagnosed with prostate cancer and with a PSA level of > 100 ng/ml at time of diagnosis. They looked at data on > 5,500 men, all diagnosed with prostate cancer in South Australia between January 1998 and August 2013, and whose clinical history and outcomes could be identified in the database of the South Australian Prostate Cancer Clinical Outcomes Collaborative (SA-PCCOC). They then set out to determine which of the following were prognostic for prostate cancer-specific and overall mortality in the men whose PSA levels were > 100 at diagnosis (i.e., the men in Groups C, D, and E combined). 5,716 men were identified in the SA-PCCOC database for whom relevant data were available. Just 241/5,716 patients (4.2 percent) had a diagnostic PSA level >100 ng/ml (such that the patients fell into Groups C, D, and E above). Prostate cancer-specific mortality was associated with Gleason score and age at diagnosis. Prostate cancer-specific mortality was not associated with PSA level at diagnosis. Overall survival was associated with Gleason score and age at diagnosis. Overall survival was also associated with PSA level at diagnosis. Overall survival decreased as PSA increased (in a linear manner) until a diagnostic PSA level of 200 ng/ml, but there was no association thereafter. Quite what this means is hard to tell, but it is not an expected result, and it seems to imply that, when one ignores things like Gleason score and age, significantly elevated PSA levels at diagnosis may be telling us as much about a man’s overall state of health as it is about his prostate cancer-specific risks. As a veteran member of this overall group (PSA 113.6 at diagnosis), I am quite familiar with this territory. I have a very strong hunch that the reason PSAs of 100 to 200, versus 200 to 500, 500 or greater did not make a difference is because this overall group is very likely dominated by men with short PSA doubling times combined with PSAs that were already at at least 100 at diagnosis. Consider men with a PSA of 100 and a doubling time of 3 months (mine turned out to be 3 to 4 months). In three months the PSA would be 200, in six months 400, and in nine months 800, so the patient would have moved from Group C to Group E in less than a year. Even with a doubling time of 6 months (at the slower end of the spectrum of rapid doubling times), PSA would have gone from 100 to 200 in 6 months, from 200 to 400 in one year, and from 400 to 800 in a year and a half. Therefore, prostate cancer specific survival time would not be much different – likely a matter of months – for men starting with a PSA of at least 100 regardless whether they were in Group C, Group D, or Group E.
This line of thought also seems a strong contender for explaining the final finding noted above that “Overall survival decreased as PSA increased (in a linear manner) until a diagnostic PSA level of 200 ng/ml, but there was no association thereafter.” In other words, whether the PSA at diagnosis is 200 or higher is not going to make much difference. I suspect the difference between 100 and 200 is small. Of course this group was dominated by men who had a PSA that was > 100 at diagnosis. That was the criterion for inclusion in the evaluation! I think you are missing the point of the article, which is that being diagnosed with a high PSA level of > 100 appears to have had little to no impact on risk for prostate cancer-specific mortality as compared to risk for overall mortality! In other words the statement in your third paragraph is wrong (based on the findings in this article). Sitemaster – One of the reasons I find this blog so helpful is the responses you provide as they help me think. I’ve been thinking about the issues here for several days now. I’m reaching your conclusion by a different line of thought. In the third paragraph, the point was that most men with PSAs at diagnosis in the ranges stated would soon overlap, based on the assumption of short PSA doubling times. On rethinking this, that is unlikely to hold true as most men diagnosed with such high PSAs would be highly motivated to start some kind of treatment to combat the cancer, and that treatment would likely reverse, halt, or at least slow the rise in PSA. In my case, I was on Lupron within 2 weeks of diagnosis. It seems likely that most men with such high PSAs would soon be on some form of androgen deprivation therapy. Therefore, I am now interested in the finding you report that “For the men in Groups C, D, and E combined [those with PSAs of 100 and higher at diagnosis] … Prostate cancer-specific mortality was not associated with PSA level at diagnosis.” This is in a context of the last finding: “Overall survival decreased as PSA increased (in a linear manner) until a diagnostic PSA level of 200 ng/ml, but there was no association thereafter.” I’m not sure what to make of this set of findings which indicates that diagnostic PSA above 200 does not matter much regarding overall survival. At age 74 and with PSA level of 200, what is the chance of survival.? Does this mean cancer has spread? It is possible but very unusual for a man with a PSA level of 200 ng/ml not to have metastatic prostate cancer (i.e., cancer that has spread or is spreading to other organs, most commonly the skeletal bones), but it also might not be widespread yet. Any such patient would be wise to have a careful evaluation, including a prostate biopsy and at least a bone scan and a CT scan so that it became clear what his risk level really is. He could then be treated accordingly. With appropriate treatment, his probability of 5-year survival today would be relatively high and it would not be unusual for him to survive for another 10 years, but it is hard to give any sort of accurate information without knowing more about his precise diagnosis. Thank you very much. Well appreciated. If I had waited another 3 or 4 months before my first-ever PSA, it probably would have also been over 200, so I can empathize with you. I presented in December 1999 with a PSA of 113.6, a Gleason score of 4 + 3 = 7, all biopsy cores positive and mostly 100% cancer, and a “rock hard” prostate. In part the latter was a promising factor, in a way, as it meant that cancer in my prostate itself was responsible for a lot of that PSA. My doctors were convinced I had metastatic cancer, probably a lot of it. A conventional CT and bone scan (the kind based on the element technetium) and a more sensitive ProstaScint scan were all negative except for one doubtful finding of a very small spot in an unlikely location. These days scanning has improved greatly. The conventional bone and CT scans I mentioned above could be useful initial filters to determine whether there is substantial metastatic disease, but they are not very sensitive compared to better technology now available. They do have a big advantage in being relatively inexpensive, and a lot of useful research is based on their use. Scans that are very sensitive for metastatic disease include the Na18F (sodium fluoride) PET/CT scan for bone, 11C acetate and choline scans for soft tissue and bone (which are available in very few locations), and the fairly new Axumin scan for bone and soft tissue which is becoming widely available. It is possible, though quite unlikely, that an infection alone could raise a PSA above 200. I have heard of one such case. It could be that a PSA of above 200 results from a big contribution from infection, also a contribution from benign growth, and a contribution from cancer. As for survival, it is outstanding these days for men who do not have metastases at the time of diagnosis — virtually the same as for age-mates who do not have cancer. However, for men with distant metastases at diagnosis, American Cancer Society statistics indicate that only about 30% make it to the 5-year point based on fairly recent history. On the other hand, that history is before the impact of a slew of new drugs designed to help men with advanced cases, and we already know that those drugs are making a substantial difference. 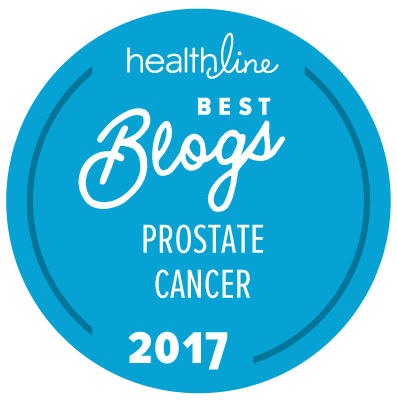 That gives us a lot of confidence, combined with imaging and the strong likelihood of continued progress, that many men diagnosed now with metastatic prostate cancer will have a much better record of survival at 5 years and may live far longer. Good luck to you and the person you care about. If you were to join our social network, you could talk to my colleague Jan Manarite. Jan’s husband had a PSA level in the thousands and extensive metastatic disease when he was diagnosed at age 58, but he lived for another 13 years. Jan would likely be a helpful resource for you in “thinking through” what you and your husband need to do over time. Why will you not post my statements — Tell me your guidelines — I am a scientist and research cancer products. I am thinking about starting a real blog, where there is no deleting anyone’s comment. I have not found a real blog out there that does this. Again send your guidelines to my e-mail. You have it. We haven’t posted any of your comments to date because, bluntly, your arrogance appears to far outweigh anything useful you have written. There are no formal “guidelines” as to what and when we are willing to post as comments. I will tell you, however, that we post about 99.7% of the ones that aren’t pure spam. However, the fact that you are “a scientist” and “research cancer products” doesn’t give you any special credibility. If you wish to write your own blog, I suggest that you go right ahead and do that. If you have some useful, well-substantiated, factual information to provide, please feel able to do that too. My PSA count was 3,499+ ng/ml at diagnosis. After the removal of my testicles my PSA level came down to 400 within 3 months. Anothere 3 months later it was 77. I then went on cannabis oil, vitamins 3, paw-paw extract, cancer bush (Sutherlandia) extract and zinplex. Six months later and my PSA count stands on 16. The drop in your PSA count from nearly 3,500 down to 16 ng/ml over a 12-month period basically means only that your cancer is producing less PSA. This is “good”, but on its own it tells us very little else. For example, it cannot tell us that the concoction of alternative medications has had anything to do with lowering your PSA level because the removal of your testicles alone might have been responsible for the drop in your PSA from its initial level down to 16 ng/ml over that 12-month period. PSA levels have to be assessed in conjunction with other factors — such as what your bone scan looked like at the time of your diagnosis and what it looks like now. Hopefully there would be less evidence of metastasis now than when you were first diagnosed. Also, the really important questions are going to be (a) just how low your PSA gets to; (b) how low your serum testosterone level gets to; (c) how long they both stay at those lowest levels before they start to rise again; and then, when your PSA does start to risk again (which it almost certainly will), (d) how fast it does that — known as the PSA doubling time. The longer the PSA doubling time when it does start to rise, the better. Ideally you’d like it to be something like 2 to 3 years. Hi, Forgot to mention that my results on my bone scan showed zero cancers. I am also on a strict diet of no meat, potato, rice, bread, and basically all starches. I drink no milk or take any sugar. Drink only fresh fruit or vegetable juices witch I make myself. Nothing from a bottle, can or packet. Eat a lot of fresh veggies, fruit, nuts and apricot kernels (24/day). Will this help me? We have absolutely no idea whether a diet like this is helpful in most men with advanced forms of prostate cancer. So a diet like this might or might not help you individually. On the other hand, a diet like this might well lower your risk for heart disease.